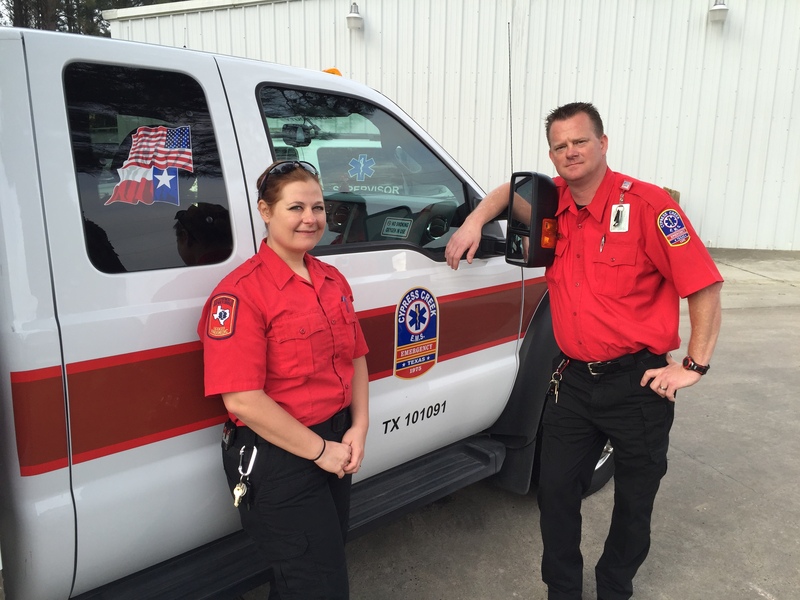 Harris County, Texas – March 15th, 2016: A Cypress Creek EMS Ambulance and Crew left at 9:00 this morning (March 15) headed to Orange, Texas to help with the state’s flood effort there. Paramedic Christina DuBois and EMT James Burton volunteered for the first 96 hour shift. Once they arrive they will be assigned as needed to respond to 9-1-1 calls and/or support Search and Rescue Operations. The deployment was requested as part of Texas Emergency Medical Task Force 6. Cypress Creek EMS is prepared to send more assistance as needed.